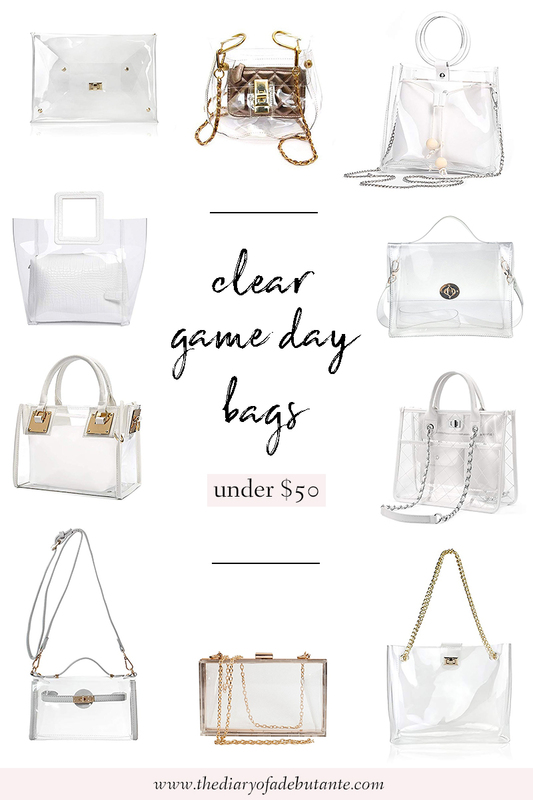 To help make sure none of y’all miss half the game like Kyle and I did, I’ve rounded up a dozen clear bags for football games in today’s post! Each of these clear plastic tote bags and purses are stadium approved for both the SEC and NFL. They’re all also under $50 and surprisingly cute– some are even designer dupes! Plus, if your job requires that you carry a transparent tote, these cute clear purses double as great work bags, too. Click anywhere on the collage for item details! If you have trouble viewing any content, disable your ad blocker. I promise my site won’t spam you! I couldn’t decide which one I wanted, so I went ahead and ordered two. Why not, right? Cute clear plastic tote bags make great game day hostess gifts, too, so it never hurts to snag an extra. To check out the full SEC clear bag policy, click here. Happy tailgating!